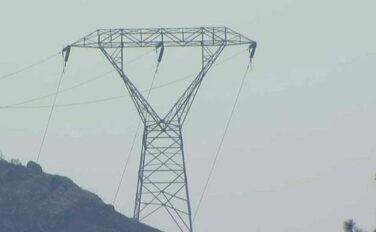 The documents appear to show Pacific Gas and Electric Co. was aware that temporary wooden poles on the Caribou-Palermo power line put it at “high” risk of failure as far back as 2014, but the utility apparently discounted the wildfire risk and left a makeshift solution in place for three years. That didn’t happen. Instead, the engineer working for the utility concluded “no likely large environmental event” would be triggered by any failure. “This is a company whose job is to manage their electric facilities safely, and it is rather scary that they weren’t thinking about one of the major catastrophic events that could happen from a failed transmission tower,” Long said. “That’s scary. Gonzalez also determined there was “no likely public safety issue” from downed power lines because the lines ran across remote areas and only served about 1,000 customers. For these reasons, the transmission line did not rank high in PG&E’s scoring system as needing replacement for reliability issues. “It’s disgusting,” he said, shaking his head.